Pro Ex Extrusion uses high quality grinding and shredding equipment to ensure that the products meet or exceed your expectations. 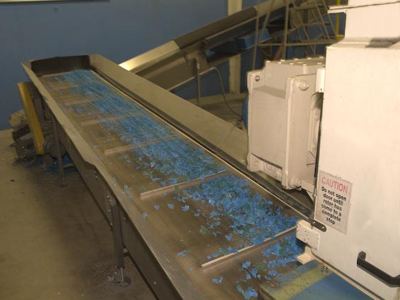 Our equipment is capable of processing plastic scrap to your specifications from tiny shreds up to a 4’ cube. We process everything from cups to purges and almost anything in between. Metal detection and removal capabilities on the equipment ensure an end product without contamination.